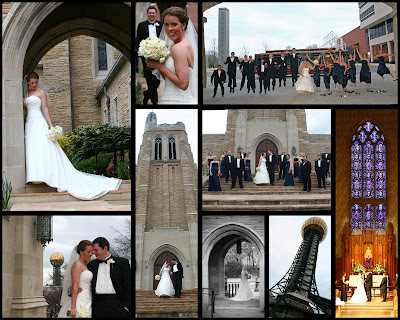 Susan and Dillon were married at Church Street United Methodist Church. This was my first time there, and I don't know if I've ever seen such a grand Nave. They did see each other before hand and we got to play a bit in the garden and in front of the church. The bridal party was great fun, as well as family. There was a trolly to take us to the Sunsphere for the reception. What a fabulous day!